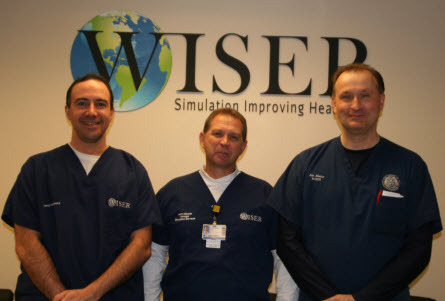 WISER is pleased to announce the Jon Mazur (Simulation Specialist), Larry Kobulinsky (Simulation Specialist), and Kevin Miracle (Manager, Simulation Services) have completed all the requirements for, and have become American Heart Association Basic Life Support (BLS) Instructors. Having met these requirements, Jon, Larry and Kevin will be able to provide assistance to participants of the BLS program. Join us in congratulating them on their accomplishment. Larry K. Kevin M. Jon M.